Santa Fe, New Mexico, population 71,800, can be a great biking town, if you don't mind the altitude. It is one of the top cultural small towns in the world. Known for its art and music,Santa Fe was selected by Money Magazine as one of the “Best Places to Live”. The population growth of people aged 50+ has grown recently by 20%. 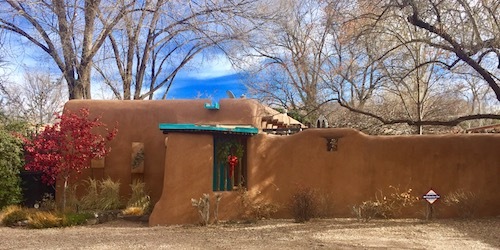 Located at 7000 feet in the foothills of the Rocky Mountains, Santa Fe offers a unique climate – high enough to be near some good skiing, yet southern enough to have a year-round livable climate. It offers awe-inspiring vistas of mountains, canyons, and gorges. 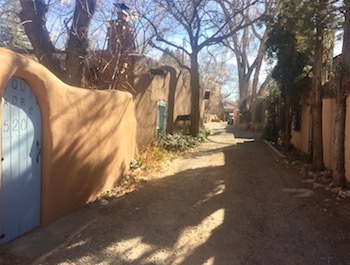 Plus it has a rich Indian and Spanish history – Santa Fe is the oldest European community west of the Mississippi. It was founded as the capital of New Mexico by Coronado in 1515. Santa Fe has great museums and restaurants, in addition to being one of the art capitals of America. The city bills itself as the “City Different”.